Our people set us apart. Each individual brings experience, energy and enthusiasm to every home we construct. Building homes is not just a job to us, it's a passion. Read on and get to know some of our key players. Mark worked his way through college by remodeling and renovating homes. This difficult work provided him with a deep sense of accomplishment and satisfaction, and it wasn't long before he was certain that home building would be his career. With a degree in business administration from Mount Saint Mary's College, Mark brings a unique business perspective to Lancaster Craftsmen Builders. Through his extensive experience in residential remodeling and historic renovation, he has a thorough understanding of each of the professional trades affiliated with the construction process. Mark’s talent for design developed through years of redesigning to accommodate renovations and additions, as well as studying products in the marketplace, staying abreast with building trends and working with the finest consultants. Mark's keen eye and experience in site planning have helped establish Lancaster Craftsmen Builders as a leader in innovative building on small tracts of land. Marks' belief in superior craftsmanship and intelligent design earned him recognition as the Frederick County Builder of the Year, not once, but twice—in 1996 and 2004. Extremely dedicated and active in the building community, he has served as the President of the Frederick County Building Industry Association three times, holding the post in 1997, 2005 and 2018. Also involved on a national level, he has served as a national director of the National Association of Home Builders (NAHB) from 2004 to 2006. Mark founded the Western Maryland Remodelers Council as a division of the FCBA in 1987, serving as president of the council and holding several other offices from 1992 to the present. He is also the originator (and president from 1988 to 1996) of the Frederick County Housing Trust, an organization that—through donations of labor and materials from the local building industry—builds a new home for a deserving family in a single weekend each year. In addition to his organizational role, Mark worked as the chairman and lead person on the trust's roof-raising projects in 1988, 1993 and 1996. In addition, Mark serves on the Board of Directors for the Boys & Girls Club of Frederick County. Judy is our chief financial officer and the positive energy at the heart of our company. A watchdog over all operations, she is a calm voice of professionalism and organization in an environment that can be, at times, hectic. With a master's degree in business administration, her management abilities have led to the development of accounting, cost, and sales management systems that are the backbone of our administrative functions. She also coordinates settlements and assists with product development and interior designs. With us since 1986, Judy has earned the respect of everyone involved with the company. One of our three invaluable site superintendents, Dan joined us in 1989. He handles all the custom details for Lancaster Craftsmen Builders. This superb craftsman demands the finest work for our homeowners, always striving for perfection. A low-key, quiet family man, Dan is constantly on the move, making things happen on schedule. He is often seen literally running from task to task, and his dedication doesn't stop when the workday ends. Dan often makes evening calls from his home to make sure there are no loose ends and schedules are met. Jay has built hundreds of homes for one of the area's most respected builders prior to joining Lancaster Craftsmen Builders in 2010. A master of multitasking, he juggles his production supervision duties with ease - meeting deadlines while maintaining top quality. Always the gentleman, he develops a strong rapport with clients through his conscientious efforts and high personal standards. It's not unusual to see Jay at a job site on his day off! Kent joined us in January 2014 after honing his skills as a carpenter framing hundreds of homes for over thirty years. Kent is married and the father of two children. In his off-time Kent enjoys singing and welding. Mike is a graduate of the Thompson Institute in Harrisburg, Pennsylvania. He has a degree in Computer-Aided Drafting and Design with a concentration in architectural and mechanical drafting. Since starting in January 2008 he has taken our construction designs, renderings, and 3D architecture to a new and unique level. Perspectives created by Mike effectively help clients visualize their ultimate plans. 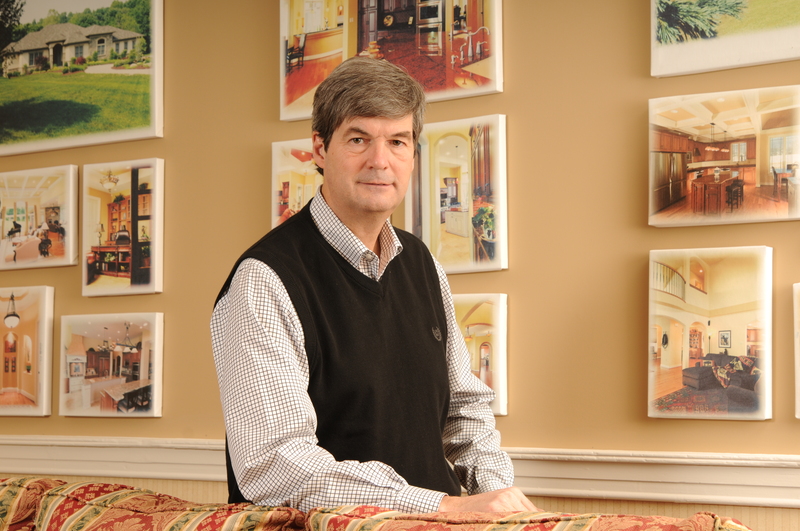 Charles has been with Lancaster Craftsmen Builders in a sales & marketing capacity since 2005. He manages our sales & marketing. A licensed real estate broker, he has extensive experience in new home sales and land sales. He is a former member of the Board of County Commissioners for Frederick County and a delegate in the Maryland General Assembly. He also served as past president of the Sales & Marketing Council of the Frederick County Builders Association. Charles is the Broker of Envest Realty Group LLC and has helped many of our clients find land for their project and is the sole proprietor of All American Signs. All American Signs installs sign posts and sign panels on all LCBI listed properties and for other Realtors in Central Maryland. Peter is in and out of our office doing a myriad of tasks! In addition to being BPI Certified (conducting energy audits) he is in charge of scheduling our jobs and ordering jobsite materials. Peter is married with two sons and lives in Frederick. Peter is a graduate of Wesley College in Delaware and a graduate of Montgomery College in Construction Management. He has worked with the company from the age of 14, and his involvement assures a bright future and a continued pursuit of excellence. All our carpenters are extremely talented and versatile. This team brings more than 75 years experience to Lancaster Craftsmen Builders. With their precise skills, they could easily be teachers in their trade. They bring exacting standards to each job that are unmatched by other builders. It's their experience and ability that give us our professional edge and craftsman name.